This apartment is located in the centre of Barcelona in the El Born neighbourhood, an area well known for its shopping boutiques and stylish café culture. 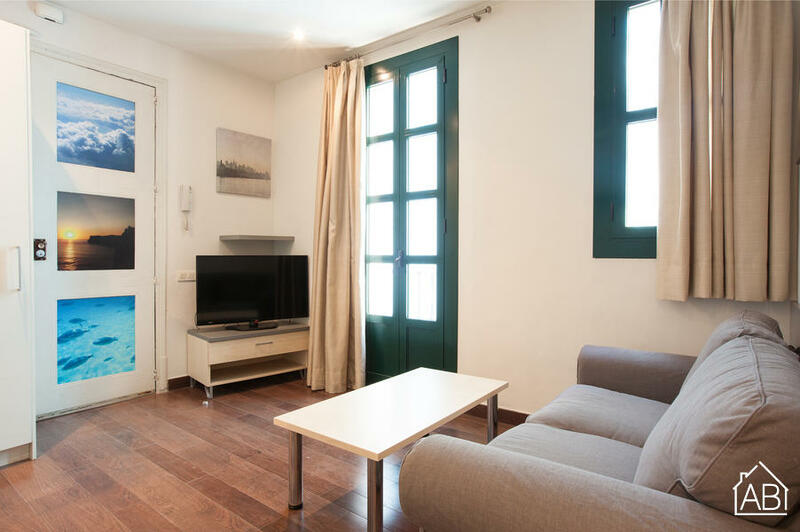 This apartment is just 10m from Passeig del Born and within close proximity to Barcelona´s many sandy beaches, the port and the rest of the city centre. It is also well connected to the rest of the city by public transport including bus, train and metro. Plaça Catalunya, considered the heart of Barcelona, is just a few minutes walk away. Nearby you will also find countless bars, restaurants, cafés and supermarkets for your convenience. The apartment is located on the first floor of the building.